According to the World Bank, 43.3% of Americans live in cities with populations of greater than 1,000,000, making the United States rank twelfth in that category. In Hong Kong, which ranks first, 103.3% of the population lives in an urban area. 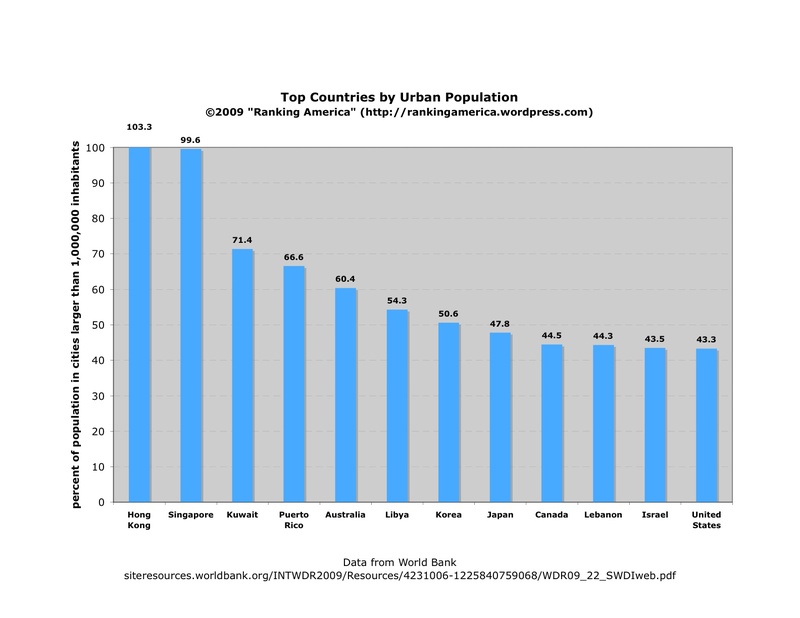 The data do not state how Hong Kong has a number greater than 100% living in an urban area.